Candlelight is so inviting and comforting, especially on the chilly dark days of fall. 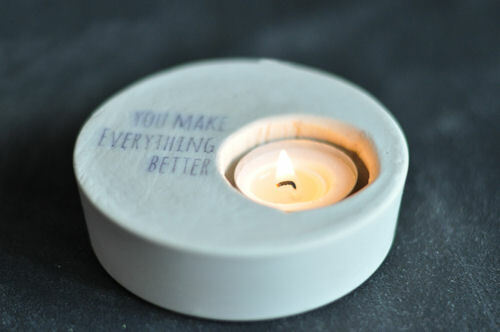 What if you could include a little message with the candlelight? This is such a fun project! 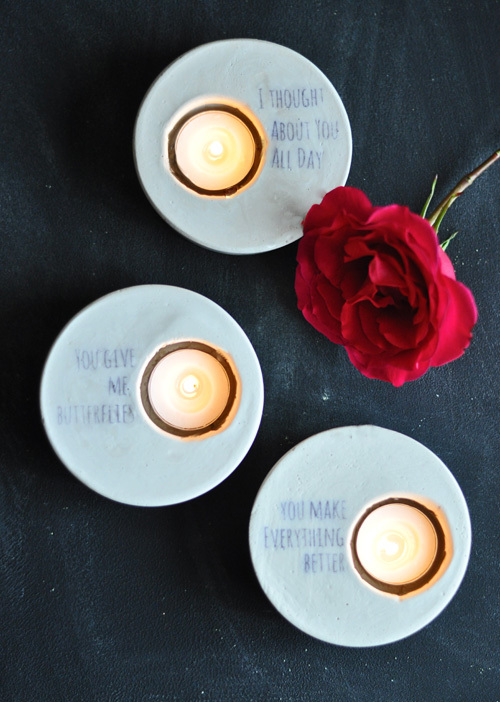 Using basic plaster and simple materials, you can create the perfect gift for a someone you love. 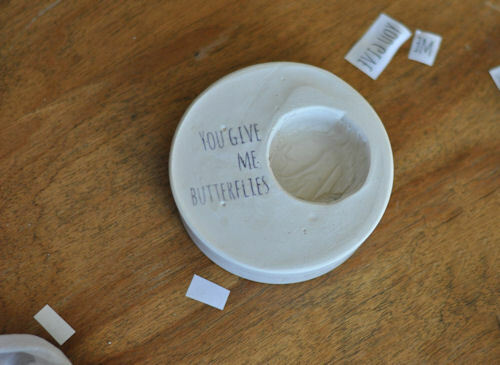 Give a romantic message to your sweetheart, or a collection of supportive notes for your best friend. **Choose the quote and print it in reverse. An ink jet print proved to be the successful version, as the laser ink print did not transfer. Mix the plaster, according to the manufacturer’s instructions. Pour into the plastic mold. Immediately tap to remove the air bubbles. 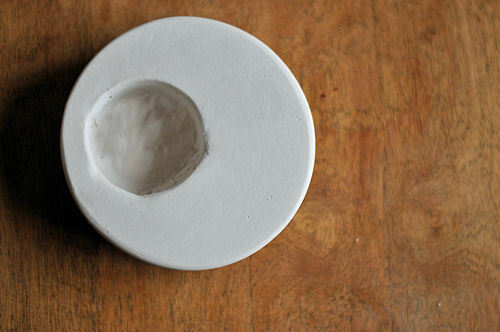 Quickly, press the circular spacer into the wet plaster, deep enough so the votive can fit inside. Not too deep however or you will create a hole. Allow the plaster to set. 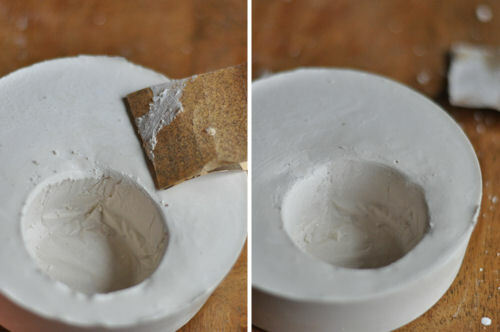 When the plaster has hardened just enough, remove the spacer and remove the votive from the mold. 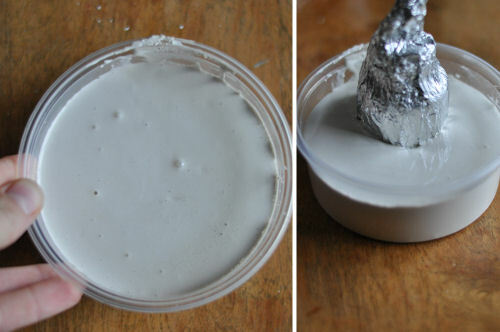 Use sand paper and a damp cloth to smooth the edges. When the sanding and smoothing is complete, it’s time to move on to the transferring. Collect the quote. 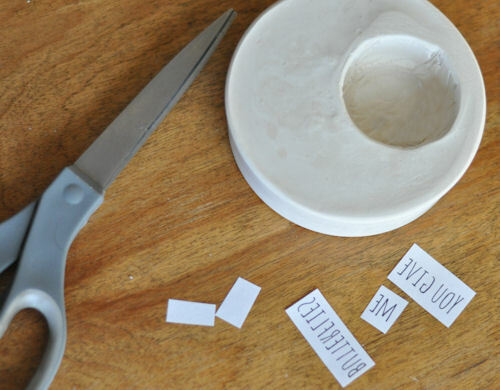 Cut down the paper around the printed text. Place the printed quote, print side down on the damp plaster and burnish with the damp cloth. You will know you are creating a good transfer when the print is clearly visible through the backside of the paper. This will ensure the ink is transferring to the plaster. You can check on your progress by gently peeling back the paper to peek while keeping it in place. When the text is completely transferred, it’s time to dry. Place the votives on a stack of paper. Make sure the one touching the votives has no print or the ink could transfer as well. Then place another stack of paper on top of the votives, again making sure a print-free piece is first. Place something with a little weight on top. I used some votive fails to stack on mine. Allow to completely dry, rotating out the damp paper for new dry paper every 8 hours or so. 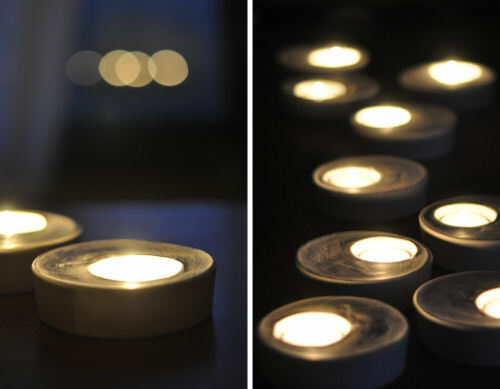 When they are completely dry, drop in a votive, turn off the lights and enjoy the candlelight. 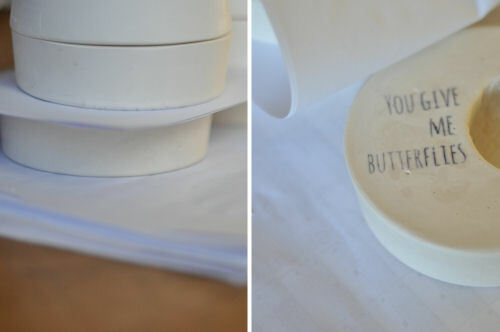 – Super sweet parting gifts for guests at a wedding or shower. – Replace the quotes with “Ho Ho Ho” or “Winter Wonderland” and give these as neighbor gifts during the holidays. – Use literary quotes and give these out at your next bookclub. These are fantastic! I love the idea of switching up what they say and giving them as neighbor gifts for the holidays. Are you just using regular printer paper, or is it some kind of transfer paper? I didn’t see it specified above. Cool idea, I want to try it! Sorry, I wasn’t clear. I printed it on regular old printer paper, the 20lb stuff. Thanks for asking! 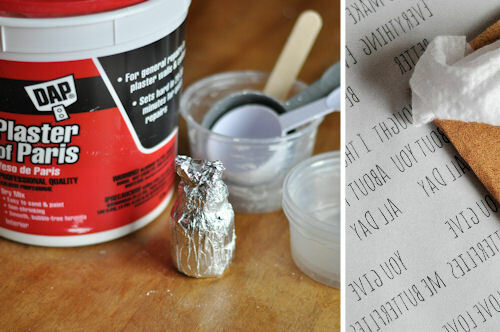 Can you write directly on the mold when dry? Was the votive painted or is it just lighting that makes it look blue in the last picture? If it was painted, what kind of paint was used? Not painted, must be the lighting. :) I used plain white plaster and only added the quote transfer. Though, I assume you could use a variety of paints on it either after its dry, or when it is still damp. I’m sure there are lots of possibilities for surface techniques! What a great idea! Thanks for sharing!! 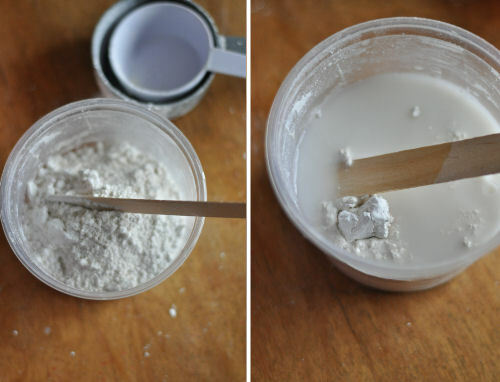 I use a technique like this to make sidewalk chalk with my preschoolers, and I would recommend slicking whatever mold you use with vaseline first. That makes it a lot easier to get it out when it’s done! These are beautiful though, I am thinking of all sorts of quote possibilities, they would make excellent hostess gifts! 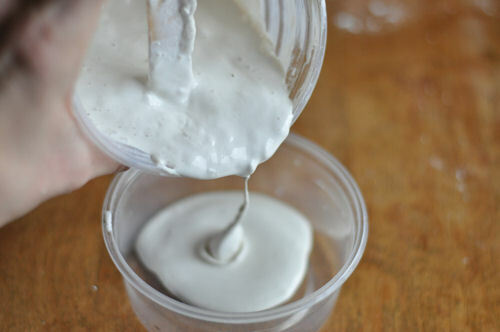 I wonder if you could stir cinnamon into the dry plaster before you add the water? 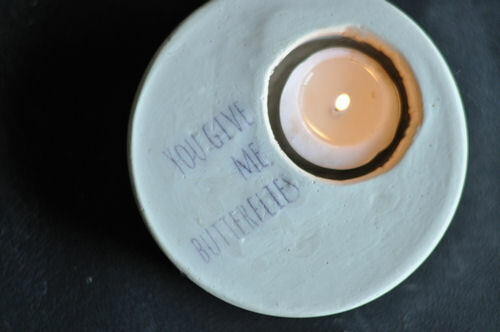 Then it would smell nice while the votive candle heated the plaster. It might add some nice color or texture too. This would be great for teacher gifts! Love these! What font did you use? It is a great one. Thank you!! Hi! What font did you use for these? 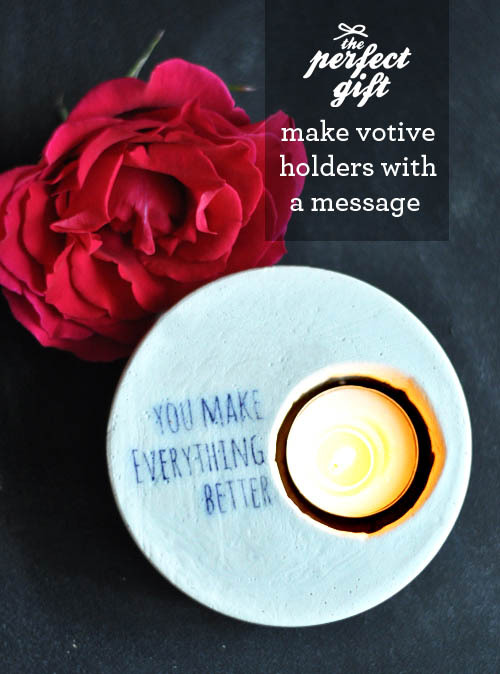 Love this project – so nice for kids to give as a holiday gift even! This is such a cool idea. I had no idea it was so easy to transfer ink like this. Thanks for the tutorial! oh my goodness, i need to do this!! so beautiful! These look great. 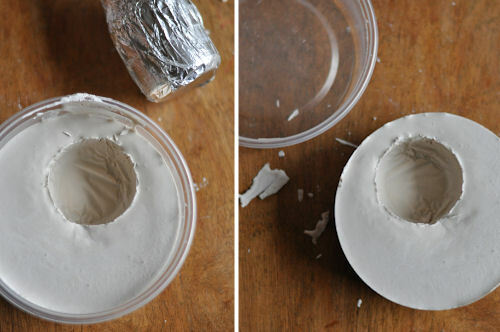 How long did it take for the plaster to dry 100%? I can’t wait to make theses for gifts. How long does this take to dry.. planning on making 40 pieces and with a time crunch, concerned on the drying phase.